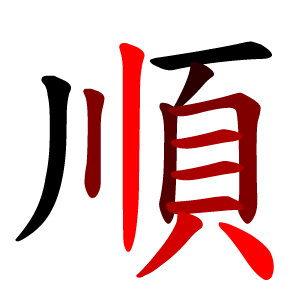 Stroke order example for the character 顺, “sequence”. I remember learning to write Chinese characters for the first time. It was difficult to get the strokes in the right place, the components in the right proportions and so on. The model characters looked very neat, but mine looked horribly disfigured. As if that wasn’t difficult enough, the teacher also had the nerve to insist that I should write all those strokes in a certain order and direction! It felt like a cruel joke. Aren’t there enough things to memorise as a beginner? 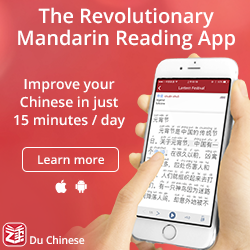 Is it really necessary to learn the proper stroke order for writing Chinese characters? In this article, I will discuss this question, which is often asked by beginners. 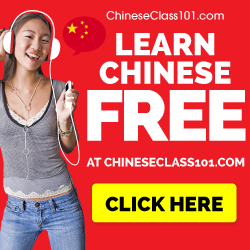 The answer should be obvious for anyone who has already learnt Chinese, but since no-one explained it to me properly when I started, I’m going to explain why learning stroke order really is necessary. If you came here to find good arguments to convince your teacher to let you off the hook in terms of correct stroke order, I’m afraid I have to make you disappointed. However, instead of just forcing you to learn stroke order, which is what many teachers do, let’s see if I can convince you that learning stroke order is good, indeed necessary. First, let’s compare with English. Even though we don’t use complex characters to write English, the writing process is largely the same. We’re all humans with the same anatomy, we write on the same kind of paper and use the same writing tools (I’m not talking about calligraphy here, obviously). Thus, the same rules apply. Some general principles include writing strokes from top to bottom and from left to right. The first one, from top to bottom, is easy to understand from a practical point of view; it’s simply much easier to accurately pull your hand towards you than it is to push it away. The second one, from left to right, makes sense if you know that words are also written from left to right. For example, if you write the letter “f”, you’re not going to start from the bottom because that unnecessarily hard. If you write the letter “m”, you’re not going to start from the right. Why? Because doing so would significantly slow you down when you have to move the pencil to the start of the next letter, which is to the right. In other words, your native language has lots of stroke order rules, it’s just that you don’t think of them as such because you internalised them at a young age. I think the reason many beginners feel that stroke order is not very important even though their teachers (including me) insist that it is, might be because they tend to think of Chinese characters as pictures rather than written symbols. I don’t mean pictures as in pictographs, I mean pictures as something you draw, as opposed to a written symbol, which you write. There’s a big difference between drawing and writing, but for a beginner, Chinese characters might as well be pretty pictures. The faster you can transition from this mind set, the better. Chinese characters are not pictures, even though a small fraction of them did come about this way. When you draw a pretty picture, stroke order doesn’t matter at all, but if your goal is to learn to write, then proper stroke order is a must. If we disregard ease of writing for a moment, there are still additional reasons why learning proper stroke order is important. First, it matters because if you internalise the wrong principles, your writing will be harder to read. Sure, if you write perfect characters, one stroke at a time in whatever order and direction you prefer, there will be no problem when it comes to communicating; everyone will be able to read what you write. However, this is very unlikely to happen and will be very slow. You’ll start taking shortcuts, perhaps even joining strokes together. With the right stroke order, people will still be able to read what you write with ease, but if you join the wrong strokes, it can be quite difficult. Imagine if someone invented their own cursive writing in English and joined together the strokes of the letters in completely new ways! Naturally, you will also need to look at how native speakers write to get it right, but having the correct stroke order down is a necessary first step. Finally, if you want to use any kind of digital handwriting input, you have to know proper stroke order. Most input systems aren’t based only on pattern recognition done on the final result, but includes information such as stroke order and direction to help pinpoint the right characters. If you mess up the stroke order, you will find that the software fails to identify the right character for you. That being said, there are plenty of cases where stroke order doesn’t matter that much, especially when there are more than one way to write a specific character. If you think all native speakers write exactly the same way, you’re mistaken! That doesn’t mean you should invent your own stroke order, it just means that it doesn’t really matter which standard you follow. For example, take the radical 忄, “heart”. Do you write the dots/wings first, or do you write it from left to right? It doesn’t really matter. The standard for traditional characters in Taiwan is to write this radical from left to right, so dot, vertical stroke, dot. The mainland standard is to write the dots first, then the vertical stroke. Both make sense. This kind of variation is common when several stroke order rules conflict with each other. Which one is used where is probably just a fluke and not something you should pay much attention to as a beginner. Similarly, if someone says your textbook/teacher is wrong and that you should write something in a different order, feel free to ignore their advice. Finally, it’s more important that you get the stroke order within components right, and not so important which components you write first. For example, the correct way of writing characters with 辶 is to write the other component first, then finish with 辶. So if you want to write 这, you write 文, then 辶 underneath. This makes sense because you then end up in the bottom right corner and it’s easier to get the proportions right. However, doing the opposite won’t really cause any problems either with legibility or ease of writing. You must write the components themselves right, though! Conclusion: Stroke order matters; learn it! So, the conclusion is that you should learn proper stroke order from the start. If you do, you will quickly internalise the rules and you won’t need to think too much about it most of the time. Your handwriting will improve as you write more. If you write a lot and care about handwriting, you will be able to read and write characters smoothly and with good result. If you ignore stroke order, you’re stuck in the “drawing pictures” phase and no matter how much you practice, it will be hard to achieve both smooth and legible handwriting. Invest a little bit of energy every time you learn a new character to check the proper stroke order and save yourself a ton of trouble later! One of the best ways to internalise stroke order is to use a tool like Skritter, which makes sure you write every single character in the right order and even prompts you if you do it incorrectly. Doing this from the start makes sure you internalise the rules properly! “I think the reason many beginners feel that stroke order is not very important…might be because they tend to think of Chinese characters as pictures rather than written symbols.” My favorite part! Someone once explained to me, also, that once you learn proper stroke order you can actually read sloppy-looking calligraphy, because with a sense of where the brush started and where it went and where it ended, you get more of a feel for what the word is, rather than just kind of trying to figure it out by looking at its shape. I don’t think you’ve made a very good case for stroke order here — though that is admittedly a tough task. Firstly, you mention that in English particular stroke orders are more comfortable perhaps but of course in English people can and do write characters in various stroke orders and it doesn’t matter. The second argument is that it might lead to connecting the wrong strokes. I don’t see that that logically follows. That’s simply an error; you could use the right stroke order and connect the wrong strokes. Finally you concede that sometimes stroke order doesn’t matter. Altogether, it’s not a strong justification for learning stroke order. Perhaps I didn’t present the arguments very well! The first point was meant to show that there are lots of “rules” for how to write English too. I gave a few examples (writing “f” and “m”). While you could violate these if you want to, no-one does. Can you ignore them? Sure, but you’d end up with slower/worse handwriting. Regarding your second argument, I didn’t claim that correct stroke order automatically leads to correct cursive/joined writing, I said that it makes it possible. With the wrong stroke order, it’s impossible. How about this as a reason – your phone will have major problems recognizing what you write, if the stroke order is off. And on a personal preference note, I can’t for the life of me understand, why people so often want to reinvent the wheel. 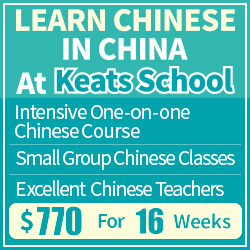 Chinese characters have been around for a day or two, giving the Chinese plenty of time to improve the system. If stroke order is still around, it stands to reason that it’s not just there to inconvenience people. So even if I know not even one good reason for learning it, why would I insist on first learning it the wrong way, only so a year down the road I can relearn it the correct and sensible way? What an utter waste of energy. That’s a good point, although I think most people type on phones using phonetic input. 🙂 For students, though, it’s nice to be able to handwrite a character in Pleco, which is much faster than taking a photo and using OCR (if you have that installed). It also makes it possible to look things up quickly in online dictionaries, even if you can’t pronounce the character in question. I added a note to this effect in the article itself, since it’s something which might not be immediately apparent for beginners! Your point about “reinventing the wheel” is perfectly valid, especially for a writing system honed through millennia. It’s just a pity that the bowdlerisers introducing the simplified Chinese character set didn’t think of that first. They ended up producing characters that are harder to memorise because they contain less information/fewer connections (quite apart from being uglier, too – which may also affect memory retention). well anyway it’s too difficult for me, so I’ll just give up chinese writing. Memorise signs is ok, but signs + order and strockes, nope, can’t do that. 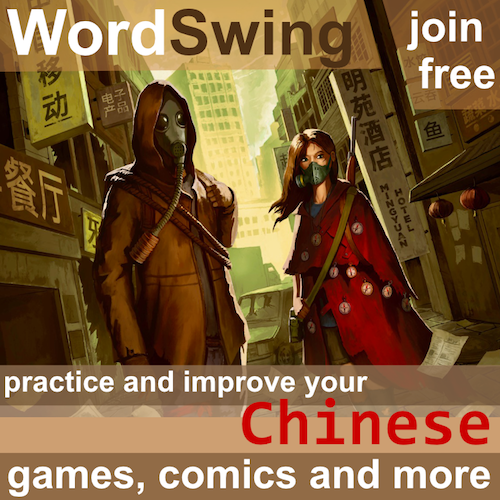 I would like to add that when you are looking for a character in the dictionary, if you don’t know the pinyin, then you have to draw it in order to find it. And when your stroke order is wrong, very often the dictionary won’t recognize what you wrote, and you’ll be stuck. Another argument for learning stroke order is that it shows respect for the language that you supposedly want to learn. The Chinese take their characters very seriously, so writing the strokes in whatever order you want does not seem appropriate. Perhaps an expert in Confucian philosophy could opine on this. I visited a museum in Springfield, Massachusetts (USA) two years ago, and the children’s section had an exhibit about the Chinese calendar cycle. They provided paper and crayons for children to draw the characters of the animals (rat, ox, tiger, etc. ), but they said nothing about stroke order. A missed opportunity. As for phones, good apps just require a scan, although I understand the problem with pleco. Look, yes and no is the answer here…. sometimes when writing, following stroke order still looks as if a foreigner is writing… sometimes changing the stroke order to something more comfortable to your hand/mind co-operative will make it look as if a native wrote it. Then again, some things will never look right unless you follow the order strictly. Asian calligraphers have a never-told secret… sometimes they use an unofficial stroke order to make the brush and pen work come out more artistic and beautiful looking. Personally, when I write か (ka) in Japanese Hiragana, I absolutely must reverse the first and second stroke order, or it looks like I wrote it blindfolded or drunk; probably both. It looks perfect when I do it my way, much to the chagrin of my teachers. The takeaway is to do it whatever way it looks legible, if writing for someone to read. No use following stroke order if no-one can read what you wrote. The purpose of stroke order is to make it legible, and easier to achieve the correct balance and look. More than one way to skin a cat, as it were.